One church’s ministry to their community might not be the best for your community. You can’t address the needs of your neighbors until you know your neighbors. 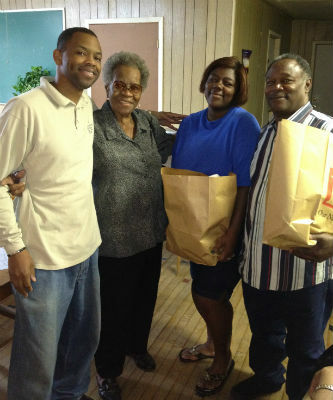 Motivated by a genuine love for people—not just a goal to see more bodies fill the pews—Shadydale Church of God in Houston, Texas, conducted a survey of their area. The survey, designed to determine how they could best take care of their neighbors, revealed that drug abuse, domestic violence, and educational issues were of greatest concern. In 2006, to maximize the long-term impact on the community on what mattered most, the church established what’s known as the Shadydale Community Development Corporation. More than a decade later, Pastor Darius Miller is at the helm, leading the church and community to take back what hell has stolen. Longtime pastor of Shadydale, Samuel Greer, had to do something. His desire to see transformation come to the community was nothing new. For example, he wanted to provide jobs for the unemployed. The problem was that many of the neighbors had prison records; employers generally don’t want to hire individuals with a prison record. By establishing a community development corporation, Greer would be laying the groundwork for an organization that would ultimately solve problems just like this. But first, the establishment of the Shadydale Community Development Corporation: as a separate ministry from the church, the operation would prove to be a partner for not only Shadydale Church of God, but also any other local church or agency interested in improving their community. Partnership is the key word, as the congregation has also discovered there really is no need to reinvent the wheel to accomplish what so many are trying to accomplish. Backpacks for giveaway at Shadydale. Focusing on education, the corporation conducts a backpack giveaway. 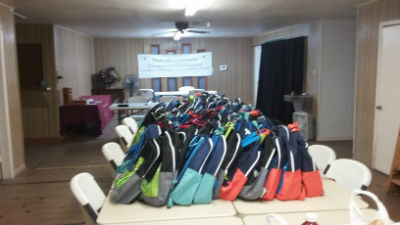 A partnership with the Kids in Need Foundation produced the necessary backpacks to offer the community. Focusing on drug abuse and domestic violence, the church hosts a recovery group for those recovering from cocaine addiction. To ease the burden on neighbors and further promote healthy families, a partnership with local grocery stores yielded food for distribution at Thanksgiving and Christmas. These are just a few of the ways the Shadydale Community Development Corporation and Shadydale Church of God have demonstrated their commitment to the actual needs of their neighbors. It’s a no-brainer for Pastor Darius. In Texas, across North America, and around the world, God is on the move in the Church of God. Join the movement. Reach our world. Donate today at give.jesusisthesubject.org. This entry was posted in All Church of God, Central, Give Life and tagged community, Darius Miller, domestic violence, drug abuse, education, Houston, hunger, job skills, jobs, outreach, partners, partnership, poverty, reclamation, service project, Shadydale Church of God, Shadydale Community Development Corporation, Texas, TX, unemployed. Bookmark the permalink.